There’s an abundance of useful and unique Windows tools you can run through the command line. One of those is the ChkDsk utility, that’s an essential monitoring tool. However, in order to use it in a seamless manner, you’ll definitely need to reduce that timer countdown that can last for ages. We prepared a step-by-step explanation on how to reduce the countdown timer’s delay, and you can find it below. The ChkDsk (Check Disk) utility tool is in charge of the HDD monitoring and diagnostics. On the first sign of possible corruption or bad sectors, the system itself will enable this tool automatically. Then, before Windows boots, it will check for the HDD state and provide you with valuable insights about critical issues or advise you to repair or even replace your storage drive. 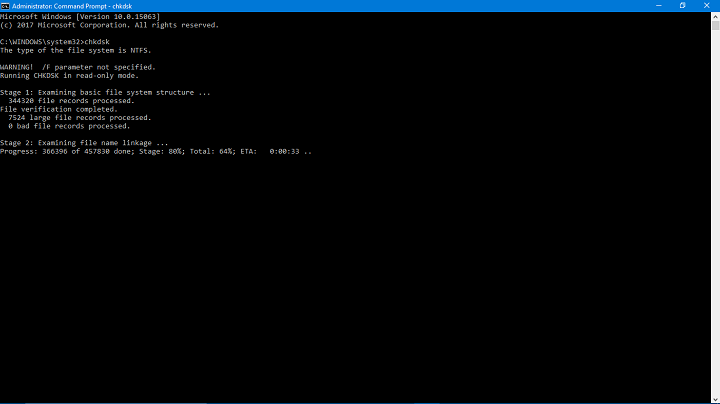 Additionally, you can run the ChkDsk command manually within the elevated command prompt. Either way, this is an important tool that might prove life-saving in early recognition of HDD corruptions and other issues. If you don’t use any third-party alternative for HDD monitoring, ChkDsk is your best friend. But, as you can assume, there’s one simple problem, a minor drawback if you will, and that’s the timer countdown. Namely, after you run the ChkDsk utility and just before it proceeds to scan, you’ll need to wait for approximately 10 seconds after each partition is checked. If you have multiple partitions, this countdown time tends to pile up and the waiting period can pose as quite an annoyance. 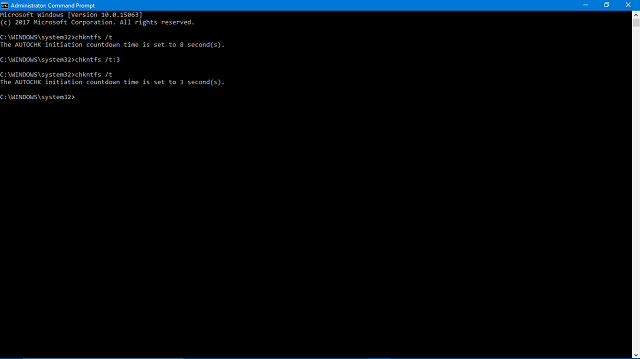 And the most peculiar thing about ChkDsk timer countdown? It won’t make a difference if the countdown is completely disabled (set to 0). On the other hand, if you’re willing to grant some time to the system to switch between the partitions, you can set 3 seconds or something like that. But, you’ll agree when we say that the 10 seconds delay is just too much. Right-click the Command Prompt and choose to Run as Administrator. Now, type this command to change the delay in seconds and press Enter. You can insert any numerical value starting with 0 (zero). This will change the countdown delay to 3 seconds. That should do it. With this, you should speed up the boot process substantially. In case you have any questions related to the ChkDsk utility, we encourage you to post them in the comments section below.